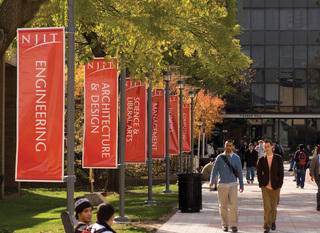 The mission statement of New Jersey Institute of Technology (NJIT) calls for the preparation of "leaders in the technology-dependent economy of the 21st century" (http://www.njit.edu/about/overview/index.php). NJIT's students, therefore, need to have established prior to graduation communication skills at a level of performance that allows at least this aspect of NJIT's mission to be met. But with no assessment of community college writing education other than the incoming transcripts of the transfer students, the quality of academic preparedness that transfer students bring to their degree programs at NJIT is difficult to determine. A case study was performed in January 2003 to address the hypothesis that junior- level transfer students to NJIT as a group do not write as well as students who have progressed to the junior level from the freshman level exclusively at NJIT. To test the hypothesis, junior-level students enrolled in the English 352 (ENG 352) technical writing course at NJIT, were compared regarding transfer/non-transfer status in four areas: grade point average, a self-reporting background survey, the New Jersey Basic Skills Placement Test "Sentence Sense," and a brief, timed, written essay on a predetermined subject. Selected findings include comparisons to a similar, but more comprehensive, 1994 study, with the results of this study confirming the findings of the earlier study. Young, Lisa S., "Comparing the writing ability of transfer and non-transfer students enrolled in a technical writing course at New Jersey Institute of Technology : A case study" (2004). Theses. 590.